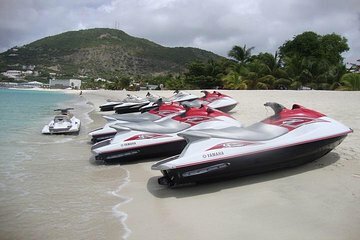 Add an ocean adventure to your beach day with a jet ski rental from Great Bay in Philipsburg. Unlike most group tours, enjoy the flexibility to explore at your own pace. With morning and afternoon departure times and all safety gear included, this jet ski rental is a popular choice for families. Book online to skip the in-person ticketing process and secure your time slot.